In our view, psoriasis, a condition considered to be inherited in a polygenic manner [40J, is also associated with bile or bile acid deficiency, as in most cases supplementation of the usual treatment with bile acids will diminish the severity of the clinical signs within a short period. One of my co-workers (Klara Gyurcsovics) treated a total of 551 psoriasis patients with bile acids (Suprachol®; Acidum dehydrocholicum) given orally for 1-8 weeks. 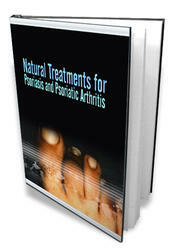 The clinical efficacy of the treatment was evaluated by means of the Psoriasis Area Severity Index (PASI score). During this treatment 434 patients (78.8%) became asymptomatic. Of 249 psoriatics receiving the conventional therapy, only 62 (24.9%) showed clinical recovery during the same period of time (p<0.05). The curative effect of bile acids was even more pronounced in the acute form of psoriasis (95.1 % of the patients became asymptomatic). Two years later 319 out of the 551 acute and chronic psoriasis patients treated with bile acid (57.9%) were asymptomatic, compared to only 15 out of the 249 patients (6.0%) receiving the conventional treatment (p<0.05). At the end of the two-year follow-up, only 10 out of 139 acute psoriasis patients (7.2%) receiving the conventional therapy and 147 out of 184 such patients (79.9%) treated with bile acids were asymptomatic (p<0.01). On the basis of clinical observations (digestive disorders, ultrasonographi-cally confirmed gallbladder changes, etc.) it may be assumed that the deficiency of bile acids can indeed play a role in the pathogenesis of psoriasis. In bile acid deficiency the absorption ('translocation') of endotoxins becomes possible , and this will trigger the release of inflammatory cytokines in the skin of individuals having a hereditary predisposition. If the absorption of endotoxins is prevented by bile acid supplementation, the release of inflammatory cytokines can be blocked . Probably this is the mechanism that explains the success of our treatment approach. Thus, the effect that cytokines have been recognized to exert in the pathogenesis of psoriasis suggests the indirect role of bacterial endotoxins. However, this effect probably occurs only if bile production or excretion is deficient (cholecystokinin deficiency, disturbance of cholesterol metabolism and bile production). Thus, the treatment of psoriasis with bile acids should actually be regarded as supplementation of a physiological substance rather than a medicinal therapy. 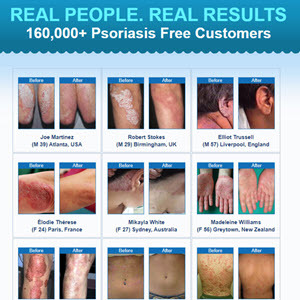 In our view, its effectiveness, safety, simplicity and low cost make this treatment modality suitable for a wider use in the therapy of psoriasis . The successful treatment of psoriasis with bile acids is an example demonstrating that the recognition of physico-chemical defence has practical importance. Thus, recognition of the role of bile acids enables us to provide cause-based treatment to psoriatics who have mostly been given only symptomatic treatment so far.